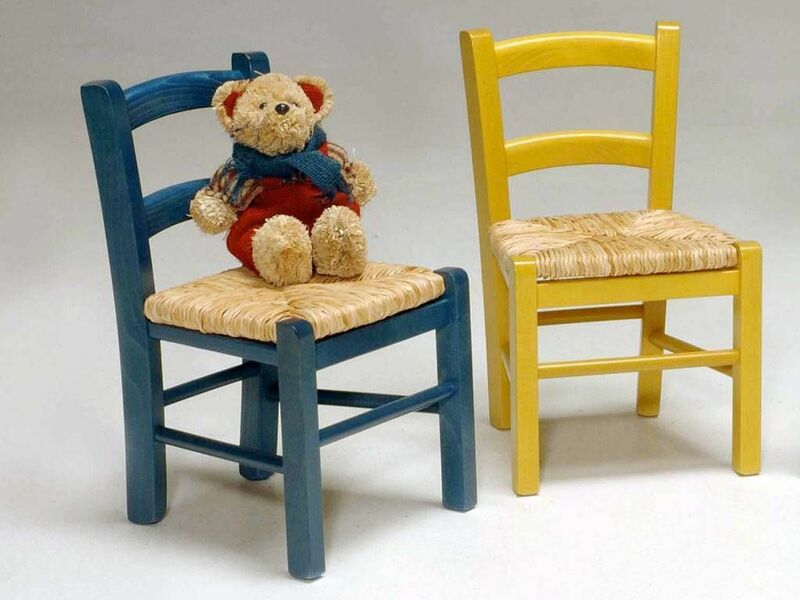 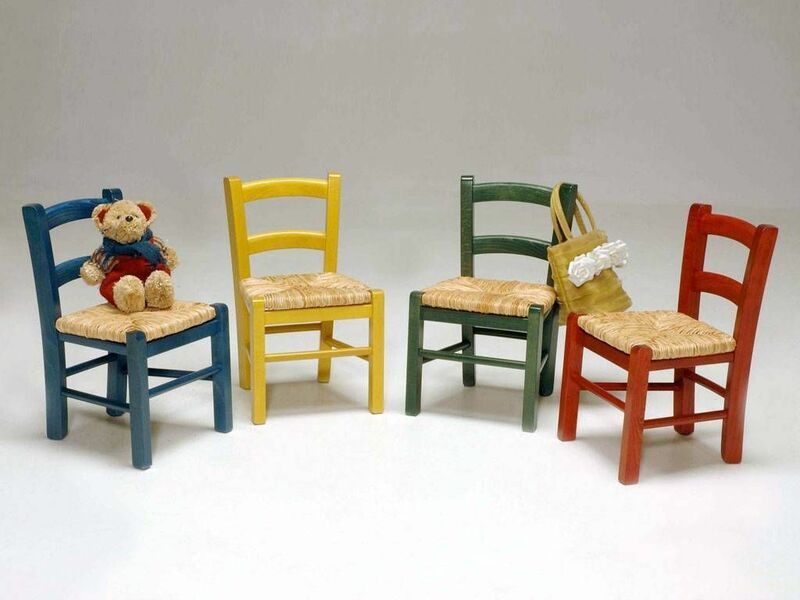 Wooden chair for children, retrò style with straw seat. Available colours: Blue, yellow, green, red. 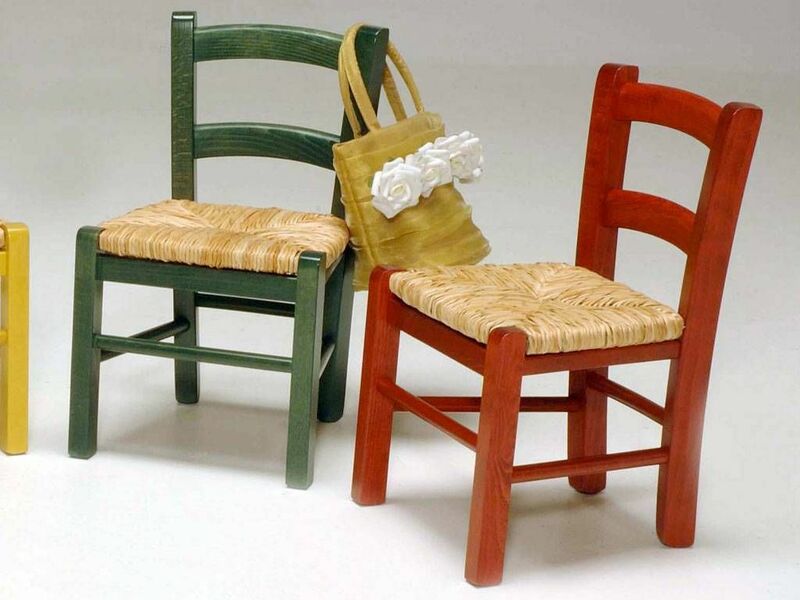 Particularly suitable and recommended for contract furnishing of restaurants, bars, agritourisms, accommodation facilities, libraries.